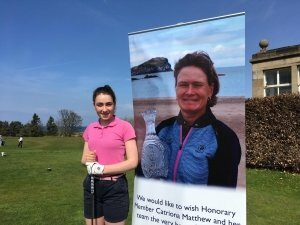 It was lovely to see the sunshine and lots of happy golfers at Longniddry yesterday. Although the wind got up in the afternoon, it was a great day for some good golf. 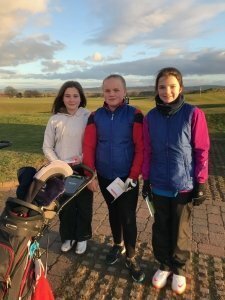 We had 9 girls competing for the Spring Meeting and they were all representing either East Lothian or their own club. There was some excellent scoring and the winners were tied with 40 stableford points. 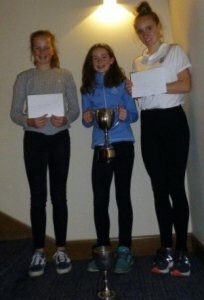 Grace Crawford was the overall winner with a better inward half from Emma Chapman. Very well played, girls. In third place was Lucy Hall with 37 points. The CSS has been confirmed as 74. 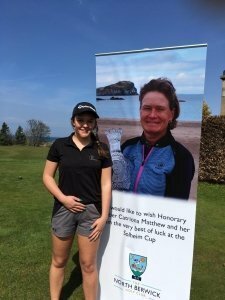 Thanks to Jenni for all her help on Sunday and to Joanne Watt, our president, who came along to see the girls start. Thank you for your support. Look forward to seeing you at the Summer Meeting on July 7th at Kilspindie but in the meantime, there are a few more ELJGL Match Days to play! 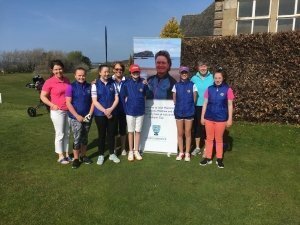 Whole ELJGA squad with Junior Convener Frances, President Joanne and Captain Jenni. 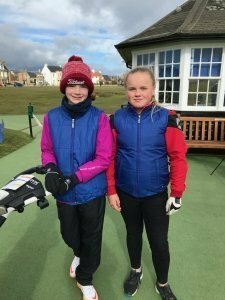 The first ELJGL Match Day was held at Gullane on 17th March. It was a very windy day but the girls enjoyed playing together. Four scores out of 6 count for the overall team score and we finished 6th out of 12 teams. 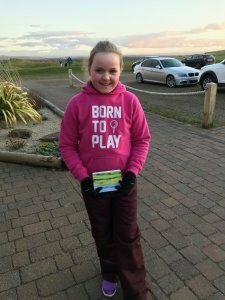 Lucy Thomas had the best girl’s score with 41 points which was excellent in the windy conditions. 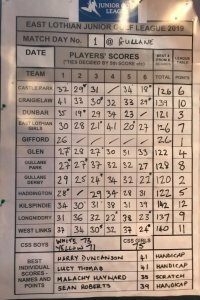 The next match day will be on 14th April at The West Links, closely followed by Longniddry on 21st April. 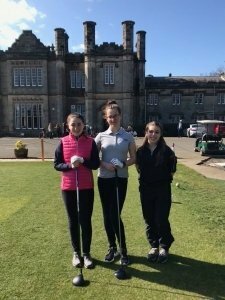 Three of our girls played in the East of Scotland Spring Meeting at Ratho Park Golf Club on 31st March. 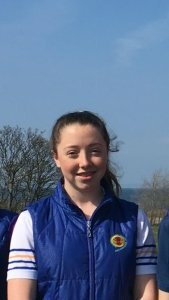 Lucy Hall finished in 2nd in the Scratch competition. Ellie Bent had a Nett 69 (CSS 71). 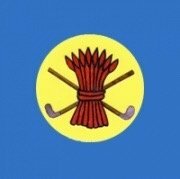 The Lothians Mixed Junior Championship is to be held at Luffness on Monday 14th October. This is a new event that is being held to coincide with the 125th Anniversary of Luffness. 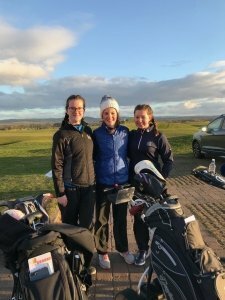 Junior Convenor, Frances Hall sent this photo of the East Lothian Junior League team at Pinehurst. 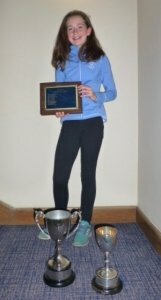 There are more photos and stories on the ELJL website, it makes for a really interesting read. 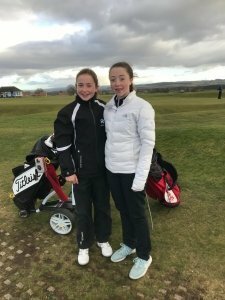 A very good year for our junior golfers among their many successes Grace Crawford won the East of Scotland Girls Order of Merit and Ala Gorka won the Stephen Gallacher Order of Merit with Grace as runner up.